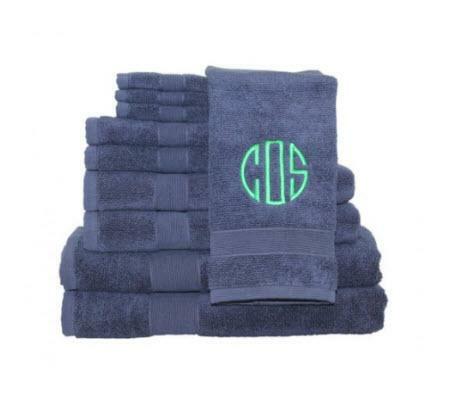 Wrap yourself in soft luxurious towels with this Monogrammed Navy Luxury Towel Set. 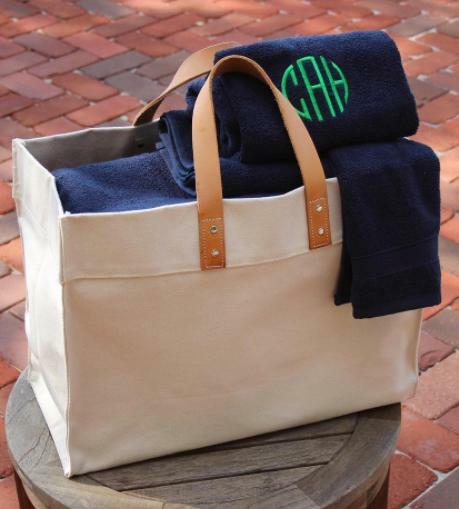 It includes: two bath towels, four face towels, and two hand towels. Made with 100% pure cotton and features solid Dobby weaving and is Oeko-Tek Certified. The certification is the definitive mark of excellence for products that are healthy to use and safe for the environment. This eight piece towel set is very absorbant and fast drying and you will love the way it feels! Makes a great house warming gift or wedding present. Also available in white, beige, ivory and gray. 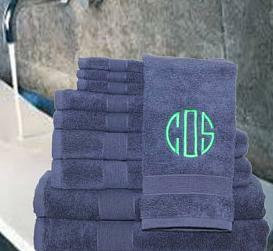 Dimensions: Bath Towel: 30" x 56"
Price: $89.00 In stock! - Browse this brandOur products are custom made to your specifications. This product ships up to 2 weeks after your order is placed.